North Conway – Arts Jubilee presents the annual pops concert and fireworks show, featuring the Seacoast Wind Ensemble, outdoors at Cranmore Mountain Resort on Thursday, August 2nd at 7:00 pm. 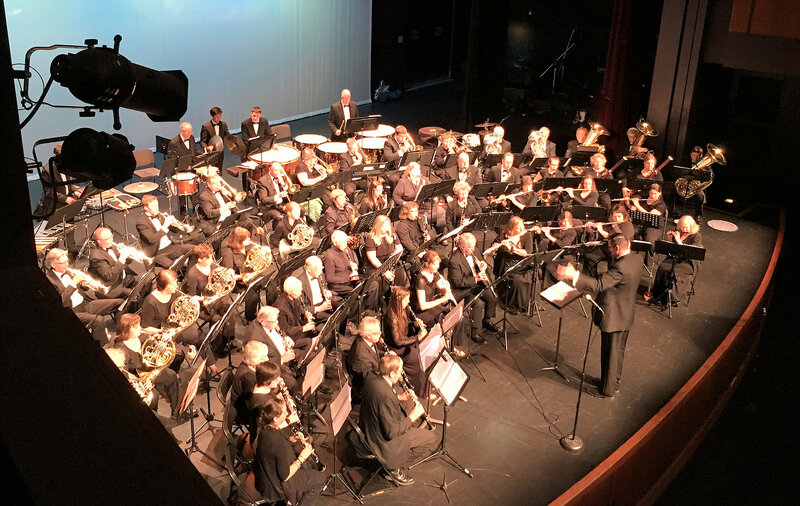 The Seacoast Wind Ensemble is a 50-piece Sousa-style symphonic band under the direction of Artistic Director, Mark Stickney and Assistant Director, Jon Roth. Keeping with Arts Jubilee’s long-lasting pops concert tradition, the Seacoast Wind Ensemble will be performing a traditional concert of pops favorites and light classics with some familiar Americana mixed in—all culminating with a spectacular fireworks show presented by Atlas Pyrotechnics. The Mt. Washington Valley Band will be the featured local opening act at 6 pm. Special thanks to our concert lodging sponsor: Eastern Inn & Suites. Concert admission is $12 for adults, $10 for seniors (65+), $5 for students, and free for kids 12 and under. All ticket sales are at the gate (cash or credit). There’s plenty of free parking on site, food and beverages will be available on the Zips Pub deck, and there will be a variety for some great prizes at each concert. Seating is not provided at the venue, so concertgoers are encouraged to bring a lawn chair or blanket. Animals are not allowed on the property except for leashed service dogs. All concerts are rain or shine. For more information visit www.artsjubilee.org.